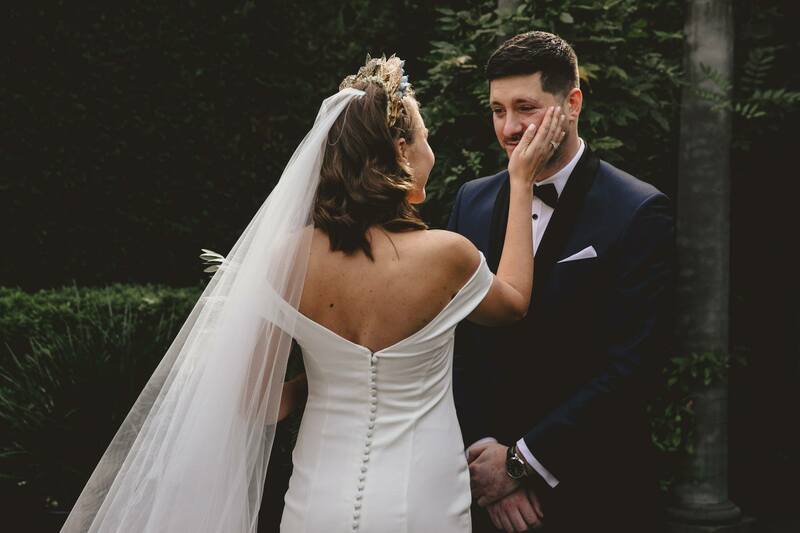 What are you looking for in a Melbourne Celebrant? Does this person have to be your BFF? 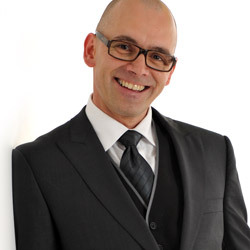 Or can it be someone that’s bald with glasses, friendly, trustworthy, enthusiastic, helpful, reliable, organised, perfectionist has a dry sense of humour and was a wedding DJ/ MC for 25 years? Well, that’s pretty much me in a few sentences. 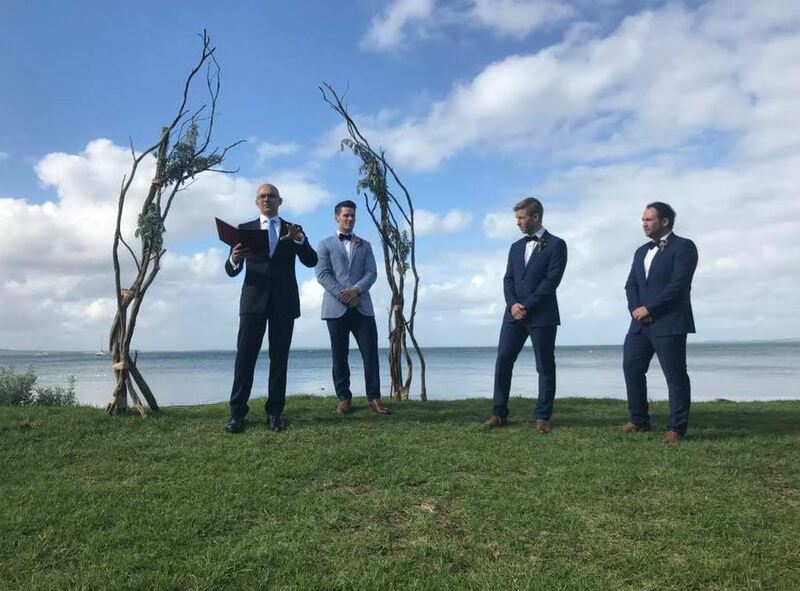 What do you want your ceremony to be like? 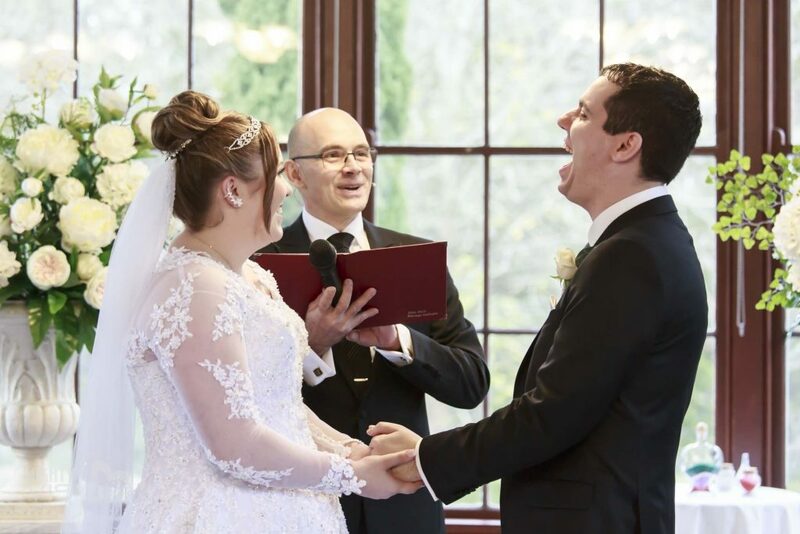 One thing most couples I work with all have in common is they value their marriage ceremony; They want it to be light-hearted, memorable with a few laughs, maybe a few soppy bits and not too long. But still thoughtful and respectful without making it boring for the guests. 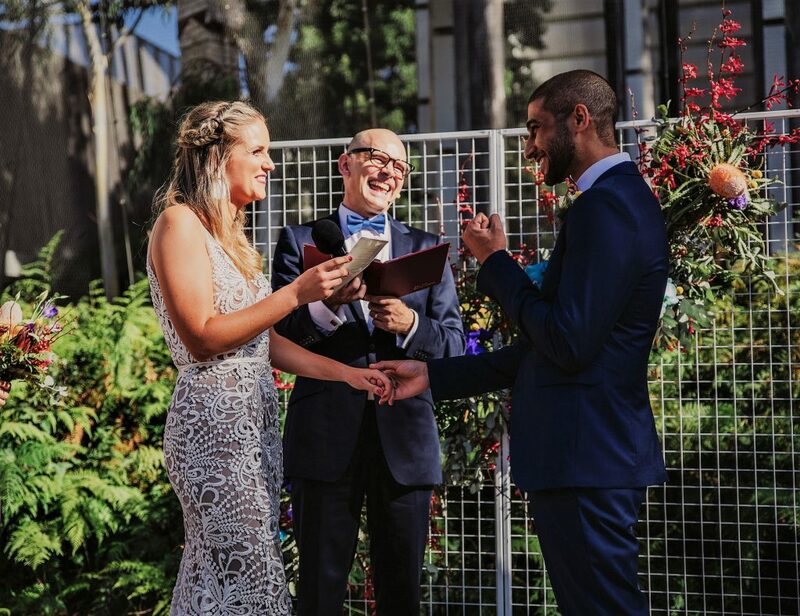 They want to celebrate and enjoy a ceremony that is uniquely theirs with their families and closest friends. Do you want to celebrate? If so we better have a chat. Hello and Welcome! 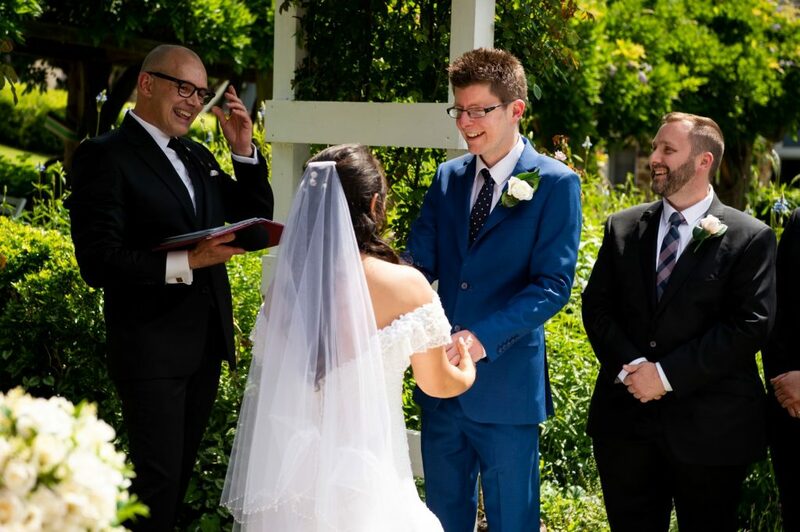 I’m John Beck your Melbourne Marriage and Wedding Celebrant. The easiest way to get to know me and what I have to offer is to sit back relax and read the website. Celebrate only one ceremony per day, yours! To give you the personal attention you deserve. Bring enthusiasm and creativity to your ceremony making certain that your guests are engaged. Devote years of experience, knowledge and training to ensure your marriage ceremony is uniquely yours. Not to interrupt your celebration so I can take a selfie with you unless you want one with me. Listen intently to your ideas while offering expert advice to produce your desired outcome. Get to know you as individuals and as a couple, to ensure your ceremony is a reflection of who you are. Meet with you many times for planning and consultation to create a stress-free marriage ceremony. Focus my attention on you and not be taking pictures at your ceremony to promote my business. High school drop out look at me now! I’ve been married for over 25 years with five fur-children, two dogs (Grace and Sam) and three cats (Stanley, Reggie and Poppy). I’m friendly house trained like to dress well, and rarely bite. 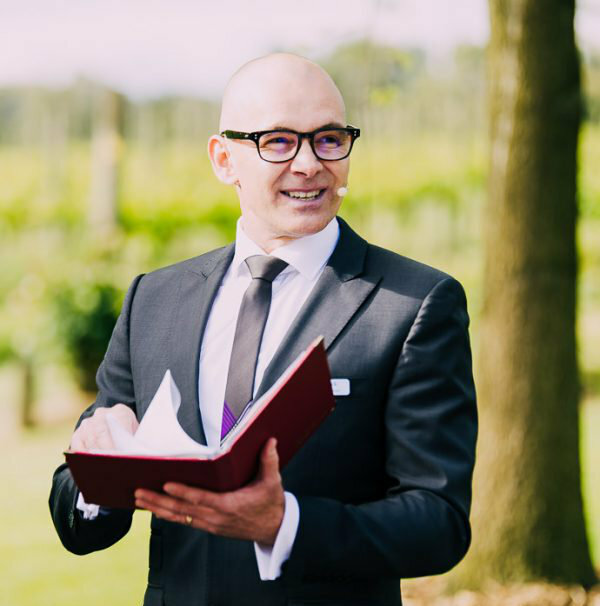 Imagine a Celebrant that has the experience of being an MC at over 500 weddings! That experience is where I learnt the art of being a storyteller and how to engage and hold people’s attention. It has given me confidence and ease which shows on my face and in my body language. All these skills have transferred perfectly into being a Celebrant. 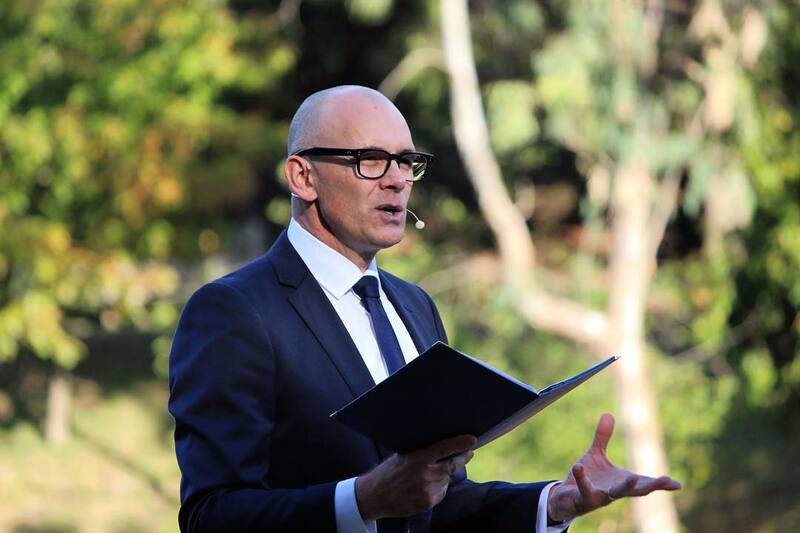 I don’t MC anymore because I love being a celebrant, I love it with all my heart. When I’m at a ceremony, I feel connected to something incredibly special. 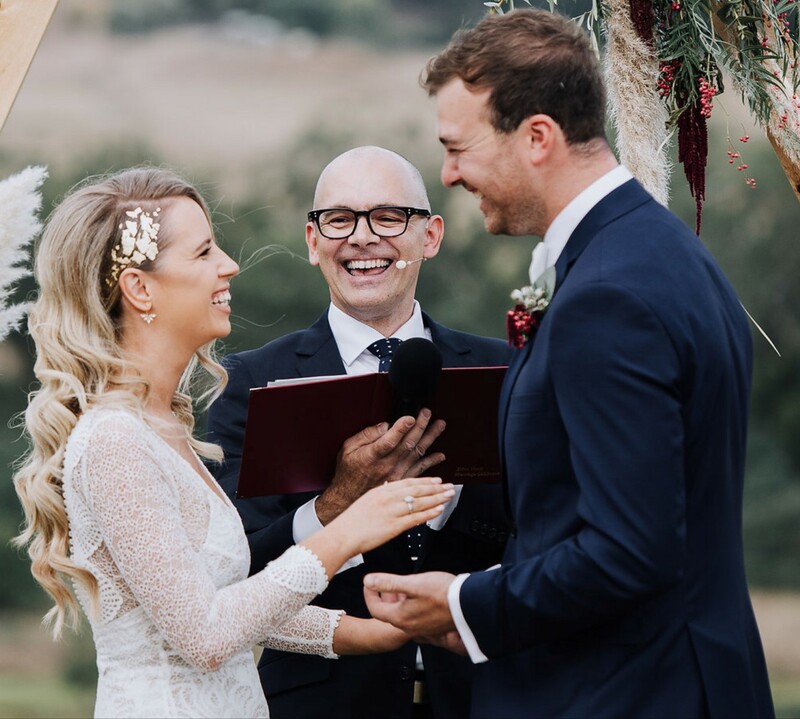 Helping you create a Ceremony that leaves you feeling happy knowing you have genuinely celebrated your love and friendship with your family and closest friends is what I was designed to do. 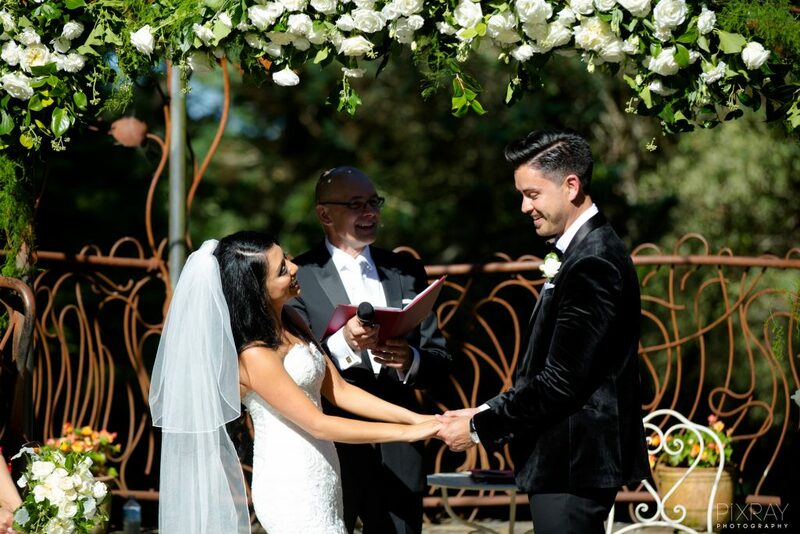 Together we will enhance your ceremony experience and have fun creating a marriage ceremony, one you can look back on that was an accurate reflection of who you are as a couple. First full-time job was at 3KZ (now Gold FM) as an office and production assistant while studying to be a radio DJ. My on-air career never made it to fruition, and with two friends I started a mobile DJ business in the mid-80s. I enjoyed being the MC more than playing music, and after 25 years and 800 weddings as a DJ, it was time to grow up and I hung up the headphones. After observing so many Celebrants and at the age of 45, I realised that being a marriage Celebrant is what I was designed to do. In the colour personality test, I’m blue. Apparently blue is the colour associated with perfectionists. People who score a blue are loyal, committed, and creative workers who can get the job done, even in stressful situations. I’d have to agree, I’m also calm most of the time but driven, well-mannered, quirky with a dry sense of humour and easily excitable. Ice Hockey, Cricket, good coffee, motor racing, spending time with the fur babies and reading Dolly Parton’s Online Diary. I haven’t travelled much I have been to America 4 times, so It’s got to be Melbourne! Donuts, Pizza and BBQ in that order. What was your first ever album? My Approach is to make sure you and your guests enjoy the Ceremony. My method is about helping you find the style of ceremony you want. It’s about asking you many questions and giving you unique options to find out your likes and dislikes. To me, what I do is so much more than just a celebrant. If I had to nail my job description down I would describe it like this. I direct, inform and guide, Preside over your ceremony, I’m your spokesperson, I make announcements, tell stories, your music programmer, and sound person. I’ve listed some fundamentals that might give you a little insight into how I help you. Do you know what style of ceremony you want? Sometimes couples don’t exactly know what they want for their ceremony, or they might know but struggle to explain it. I listen to your ideas on a deep level to assess your needs and determine your vision. Most couples what a marriage ceremony that is not too long, with a few laughs and memorable. But still thoughtful and respectful without making it boring for the guests. If you are open to exploring the possibility’s, want to know how I can help you, and the creative process behind making your ceremony one that your guests will talk about happily, for years to come, then we should get together for a chat. Once we know what we are doing and when we are doing it, we need to work out how we are doing it. The ceremony rehearsal we go over the ceremony site together to discuss layout and sound support issues. Planning where, when, and how you will move about during ceremony highlights. Normally it’s done 7 to 10 days before the ceremony. Attention to staging is vital to ensure smooth running and flow of all elements of the ceremony. The Love Story is your opportunity to have your story told the way it should be – with romance, humor, sentiment and surprises delivered at your ceremony. What better opportunity could there be in life to share your true love story. The marriage ceremony is the time to tell the world how you feel about each other and why you are making a lifelong commitment to each other. Music creates reactions! Music defines everything personally! While guests are being seated, consider playing some music that has been selected by the groom while he waits at the altar. I had one groom who selected six tracks all written by The Beatles. Of course, all his family knew he was a fan so it came as no surprise to hear his favorite music, whilst they waited for the bride to arrive. 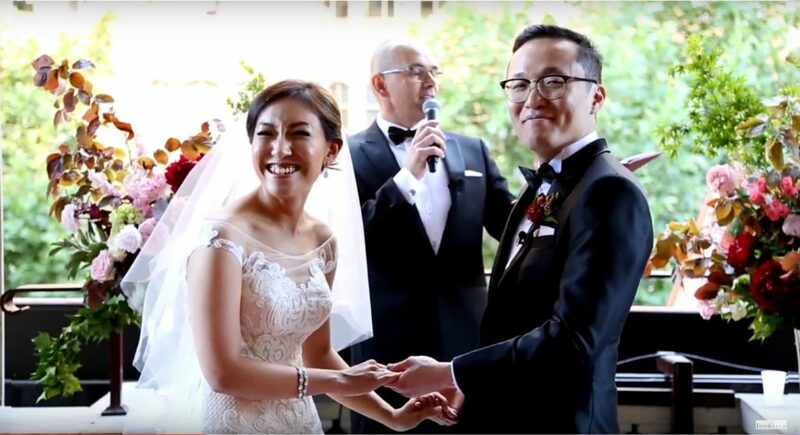 Songs made an instant connection with those present and took on a completely new meaning as part of a wedding ceremony. Is keeping your ceremony on track, including double-checking the important details behind the scenes and communicating with your other vendors (i.e. the venue, the photographer, the videographer, etc.) to make sure everything and everyone is ready before moving onto the next activity on your agenda. I will take full responsibility for the flow on the day. 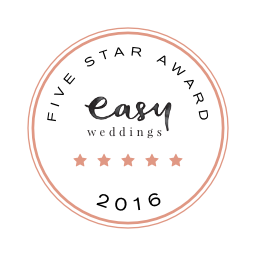 Knowledgeable advice and attention to detail will ensure your ceremony is fully planned and coordinated. Oh, and of course I will also be the one to marry you and guide you through the marriage act 1961. I will fill in the “Notice of Intended Marriage” with you and do all the work. You will not have to worry about a thing, I will be by your side to provide constant peace of mind. 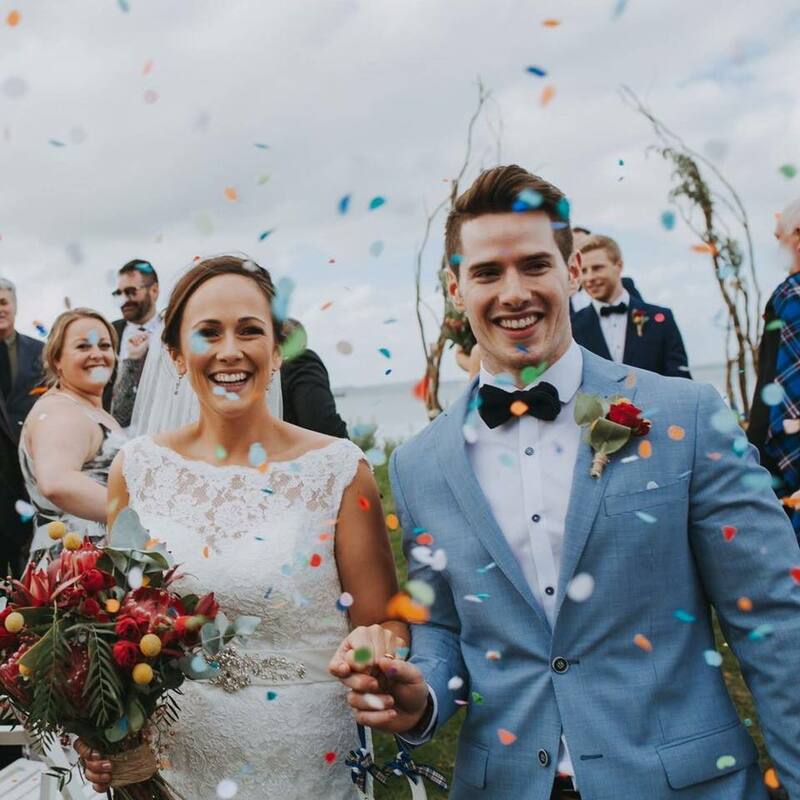 Most couples are unsure of what costs to expect when searching for the ideal celebrant in Melbourne for their wedding day. So keep reading I’ll give you a quick rundown. 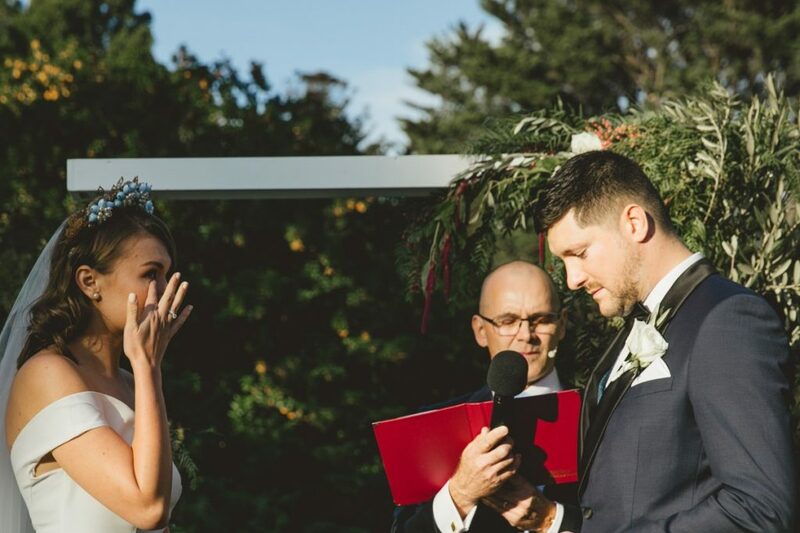 Fees for a personalised wedding ceremony in Melbourne traditionally range from $750 to $1250. Although, it is possible to find a celebrant for $330 to as high as $1800. So how do you know who is best for you? 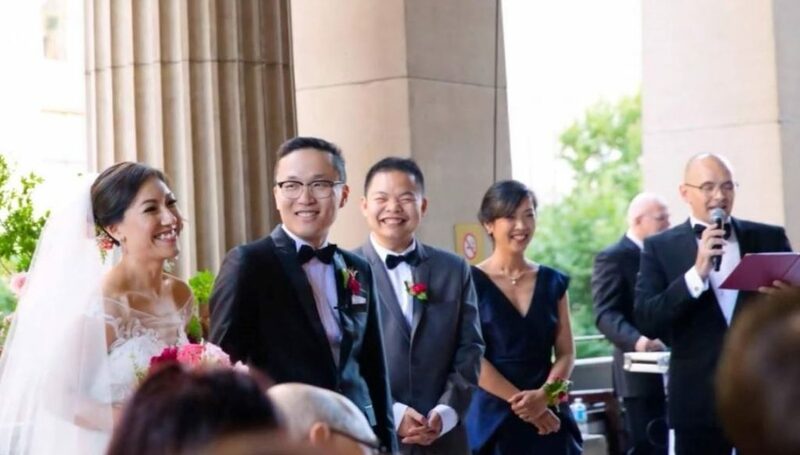 No two Marriage celebrants in Melbourne will be the same, we all offer different levels of service, experience, skill, talent, creativity and enthusiasm. 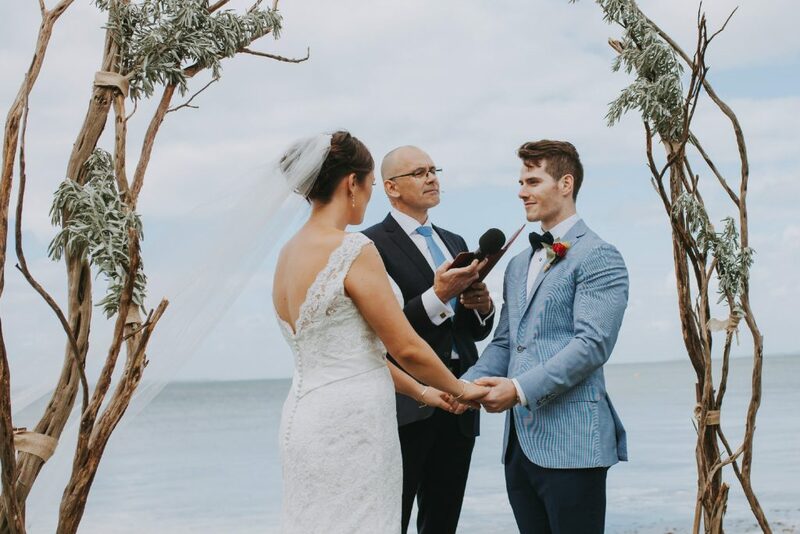 When determining who will work with you to help craft your perfect wedding, it is important to look for a celebrant you feel comfortable with, but also one that is a true professional. 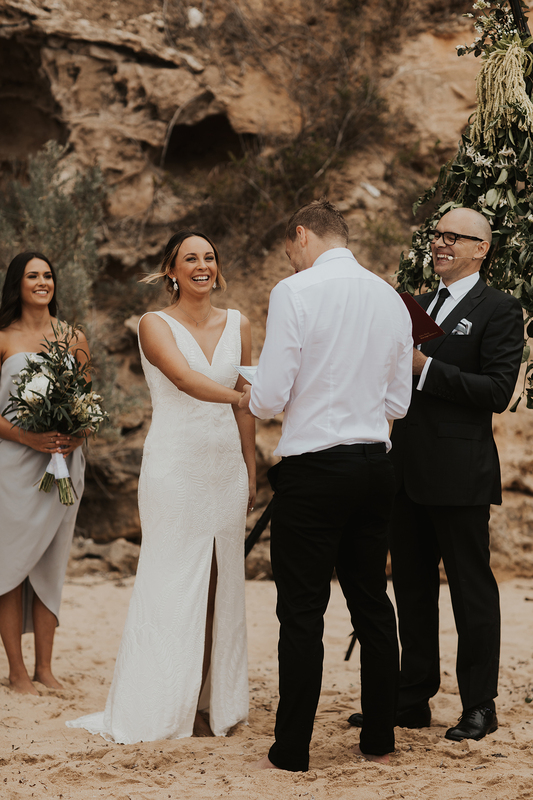 Ideally, a celebrant will be able to offer you the time, care, expertise and to guide you and let your ideas unfold seamlessly, whether you want your marriage ceremony to be traditional, laid-back, or unique. You probably have many questions to ask; and, I would welcome the opportunity to explain the full process and the costs for my services when we meet. 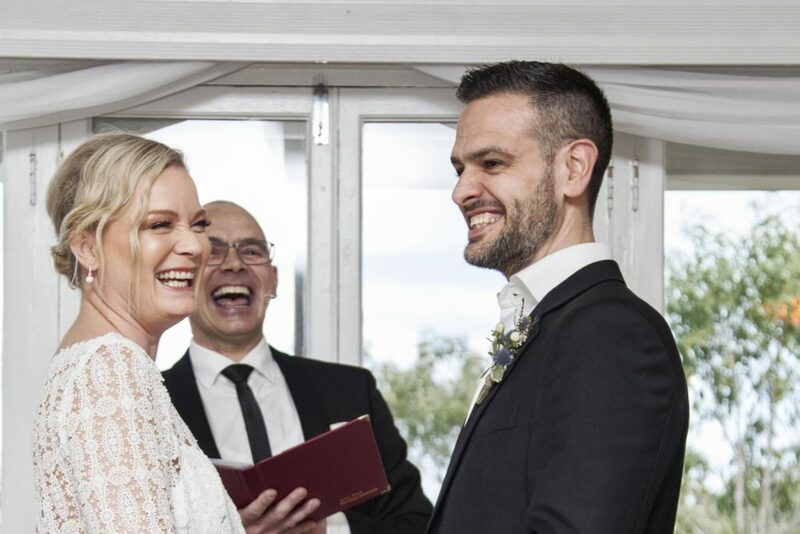 For the record, the average price for a Celebrant in Melbourne is $800. 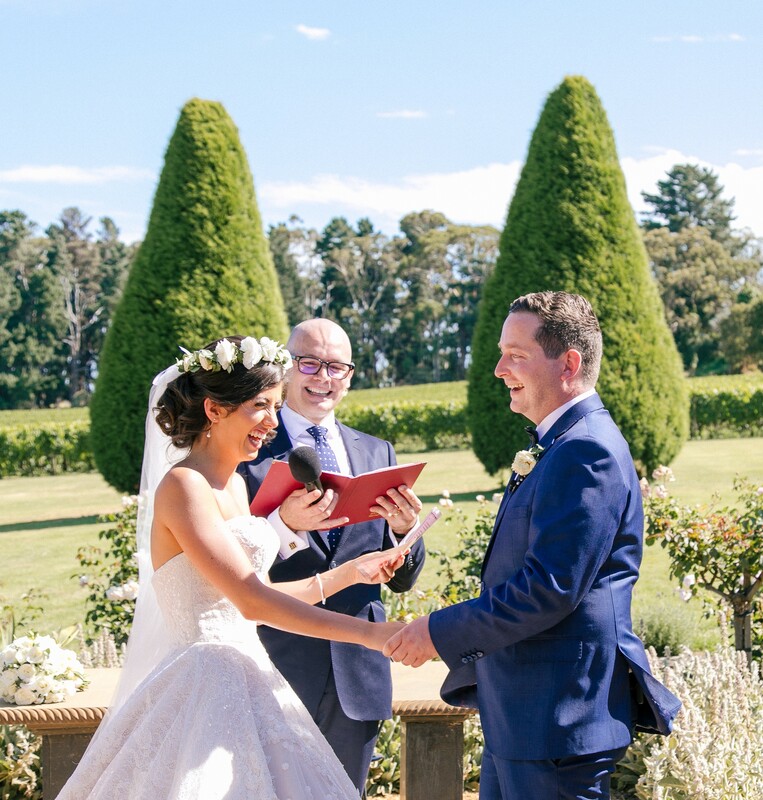 Most clients tell me I’m above average 🙂 My fee for a personalised wedding ceremony ranges in price depending on many factors, but it’s typically between $788 and $988 for ceremonies within Melbourne and surrounding suburbs. 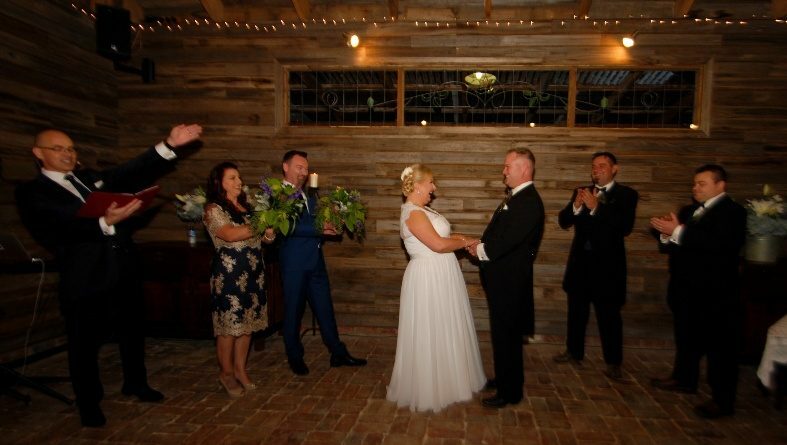 Get in touch with me by contacting me here john@marriagecelebrantspecialist.com.au or calling on 0408 753 376. Please note: A meeting does not constitute a booking. Your ceremony, delivered with flair, happiness and excitement! It’s not what a marriage celebrant does; it’s how they do it that makes the difference. 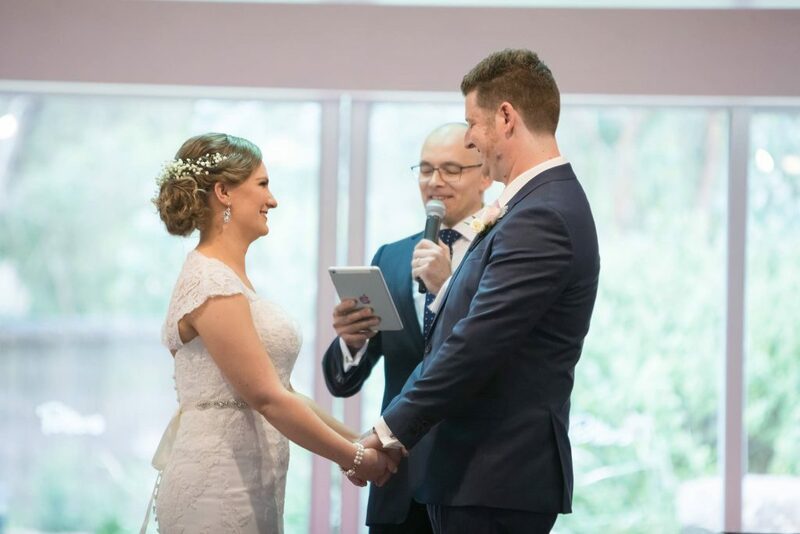 Do you want to be able to look at your Celebrant on your wedding day and know that they have everything under control, so you can relax and enjoy the ceremony? 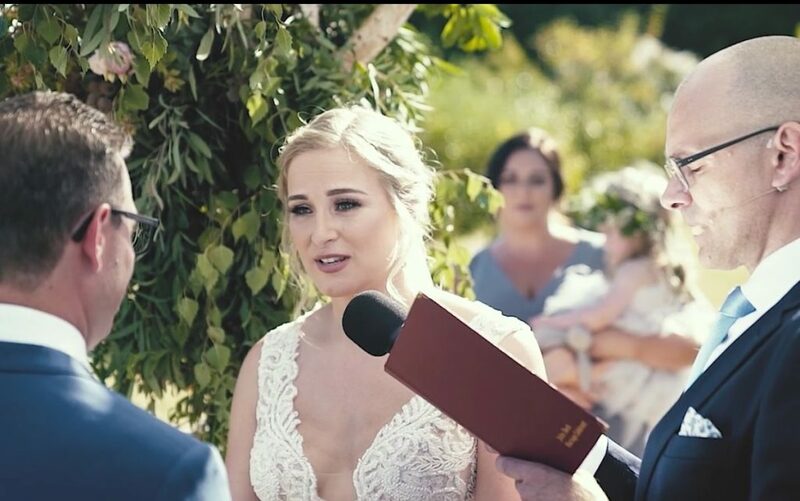 Your marriage ceremony will be one of the happiest and most emotional events of your life, not to mention the most organised; you’ll want everything to run smoothly, without a second thought from you on the day. You’re going to need to appoint a celebrant who cannot only marry you but coordinate, and be responsible for the entire wedding ceremony. Also, you want to have some connection with the Celebrant so they can look at you and be able to make you feel as calm as possible on the day. Just a sample from various sources like Google, Facebook and Easy Weddings. Hire this man. You can thank me later. John was amazing. He was very responsive and proactive in contacting us and helping prepare for our day. He explained everything and made the entire process so easy. 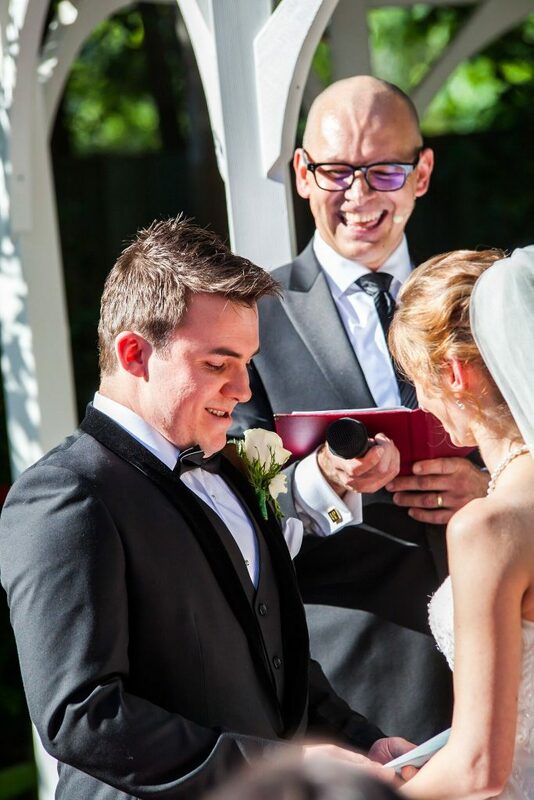 It was an amazing day and picking John as our celebrant was one of the best decisions we made for our wedding. Seriously hire this man! The best celebrant EVER!! John was warm and welcoming from our first meeting, and we had a ball coming up with our perfect ceremony together and many laughs along the way. Professional, dedicated to making each ceremony unique and brings out the best in people and engages them. 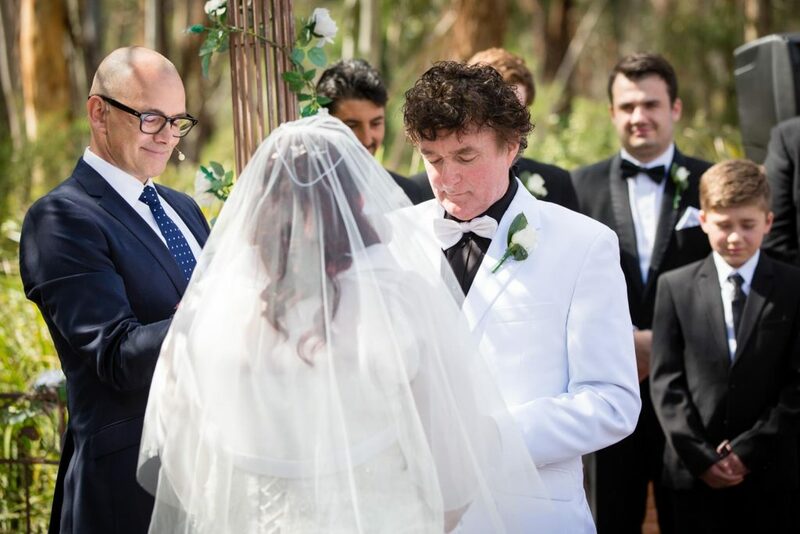 John Beck is without a doubt the best celebrant you could ask for. He is incredibly entertaining, full of energy and a really nice bloke. We’ll be recommending John to everyone we know. Thank you so much, John! You made the day incredible! 10 out of 10. Book him in! John was absolutely amazing. He made our day so special made the whole process easy and made us feel comfortable. Our love story was perfect and he got the guests involved. John Beck has transformed our wedding ceremony into a special and unforgettable event, one that we will forever look back fondly upon. Your level of professionalism and eloquence were demonstrated with your punctuality, impeccable attire and witty delivery of our ceremony on the actual day. John is everything that you would want from a celebrant! 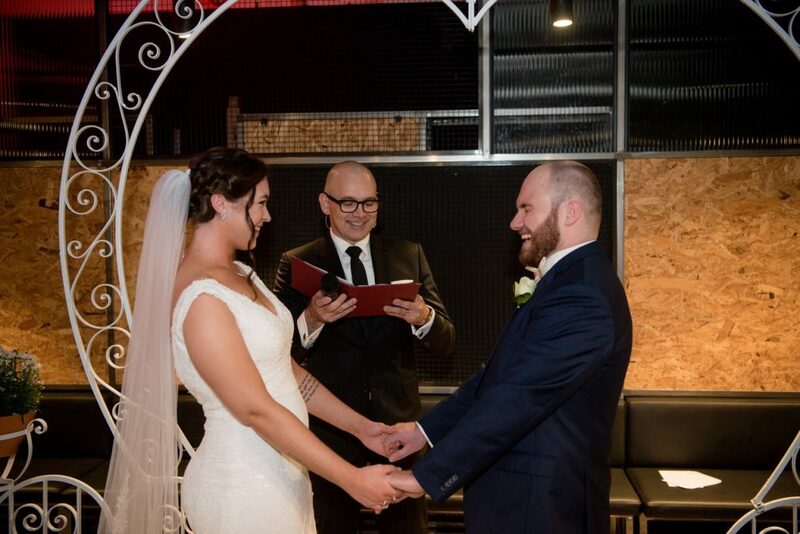 He made our wedding day! Everyone was very happy with him. 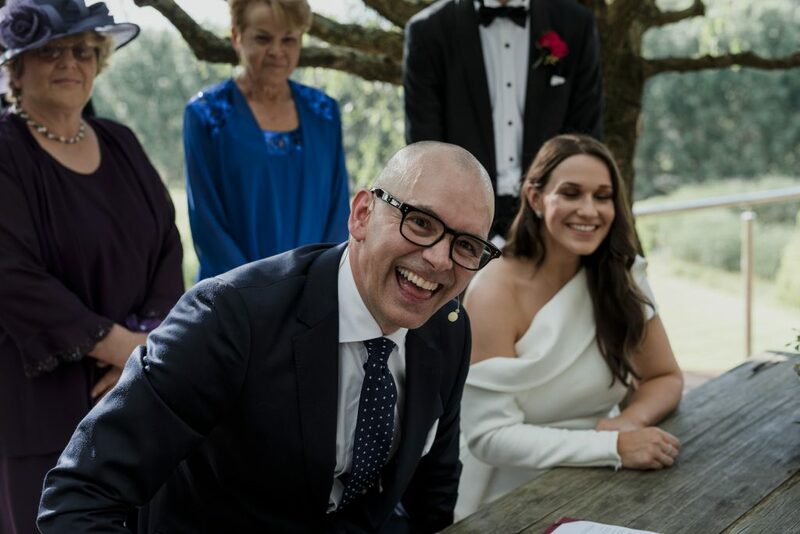 He made our wedding very special and unique. He is witty, dresses well and is very funny. If you are reading this you have seen, read or heard something about me you like. The next step is to fill in the details below, I will then contact you to arrange a time for the three of us to get together, and we can discuss your ideas and vision for your ceremony. Please note a meeting does not constitute a booking.